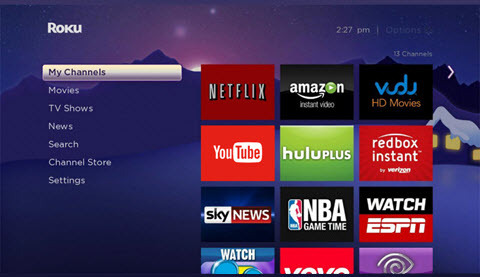 As similar product to Chromecast and Apple TV, Roku is a digital play box to assist access videos, music, and games on TV set. This digital player has become widely used since more and more channels are added to it. If you are an early Roku user, you must have knew that YouTube has long been kept outside the door. But good news coming, YouTube channel is now available on Roku. What’s more, you would have more options, when the Roku has been connected with other portable devices. To let you have a better understanding of it, this page would give details in watch YouTube videos on Roku. 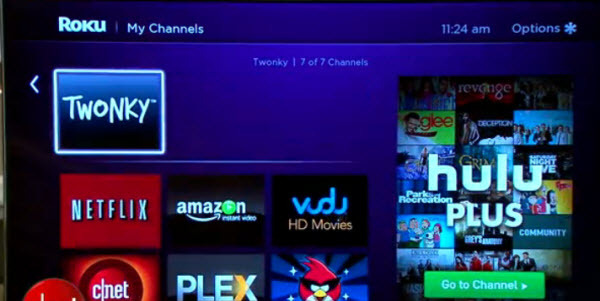 Second, type the YouTube in the searching box, find the channel and add it to your Roku channel. Third, go to the YouTube and you can watch the videos on TV now. Choose the “Sign In” on Roku player; Roku would give an 8 digit code. Remember the code. 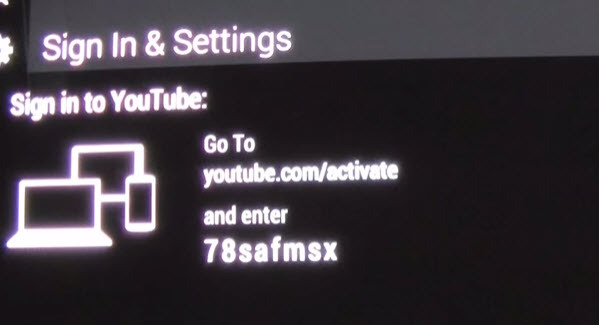 Go to the site www.youtube.com/activate with your PC; enter the code that Roku provided, your YouTube account will be linked with Roku. After that you can watch YouTube on Roku as you wish. Besides linking the YouTube account to Roku, you can also pair your devices with it. If you have paired your Roku, you could easily send the video to your TV and get the subscribed channels on it via your potable device. To pair your devices such as smartphone with Roku, what you need to do is choosing “PAIR DEVICE” on Roku, after that a pair code would be provided. 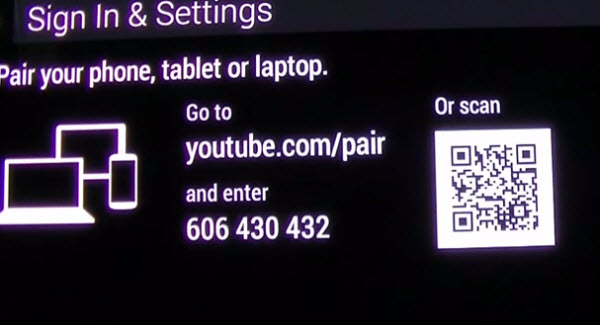 Go to the site www.youtube.com/pair on your phone, and then enter the pair code, your phone would be connected with Roku. After that you can control the broadcast and free watch YouTube videos on Roku by this handy device. Users with earlier Roku generations like Roku 1/2/2HD may find that the YouTube channel doesn’t work so fluently. Well, the application Twonky would help you play YouTube on Roku, which is a web platform provides numbers of video hosting sites. Just as add YouTube channel on Roku, you need to add Tmonky to Roku before you use it. But before add the channel, you must think twice, because it is a charged service. 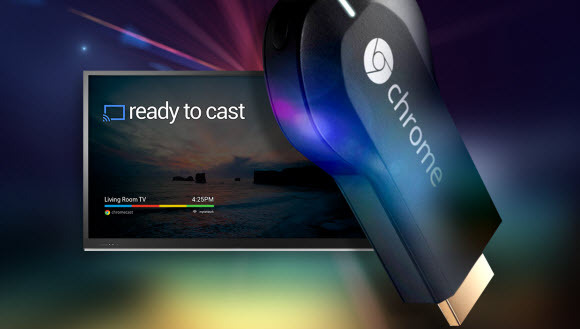 As we all know, Google also promoted such kind product named Chromecast. Here is a comparison of the two products. In form factor, Roku is a box like set while Chromecast is a dongle that sticks into TV; on processor, Roku has dual-core while Chromecast is single-core; what users’ care most is the channel supported, well, Roku would give you more choices, but YouTube channel is available on both. Last, you may guess out that the Chromecast is cheaper. Now you can have a choice by yourself. Since YouTube videos are very welcomed, if you don’t have much spare time on TV programs, you may need to download some favorite and high definition video clips to your PC. If so, a popular free online app-videograbber would give you a hand. I don't know what the pin to add youtube to my channel is or where to find it.